In 1910, the illustrator George Herriman created the Krazy Kat comic strip. Ignatz, a vicious mouse, was Krazy Kat’s arch enemy, and his favourite pastime was to throw bricks at Krazy Kat’s head (who misinterpreted the mouse’s actions as declarations of love). Landen, Belgium based artist Bram Devens uses Ignatz as his alter-ego, and comes armed with his own pile of bricks; sparse, emotive songs born of the human condition, wrapped in effects, corroded by tape, driven forth by improvisation and spontaneity. 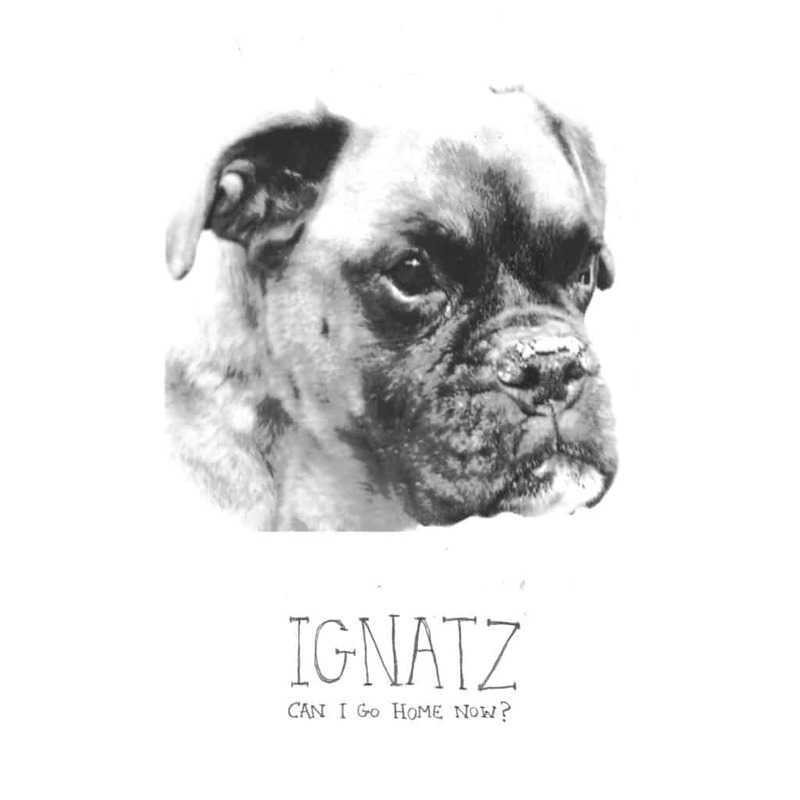 Whilst ‘Can I Go Home Now?’ is Ignatz’s first Fonal release, it is in fact his fifth full-length album proper (his seventh if you count the Kraak 2011 Cassette Compilation and 2010’s ‘Mort aux Vaches’ live LP on Staalplaat). Recorded in Schaarbeek, Brussels, Belgium between 2011 and 2012 on four-track and computer, the album sees Devens shift his focus toward more exclusively song-based compositions, cut largely from unabridged electric and acoustic guitar. Ignatz’s songs stem from a familiar stripped folk framework, with Devens’ delivery recalling the louche primitivism of V.U. or Henry Flynt – but these songs sound inverted, cast adrift, their cool touch belying a stymied heat beneath the surface. Where Devens’ fretwork is adorned, it is executed with a refined coarseness. Autonomous loops entwine each other. Songs brush past percussion, bass notes, or a scant keyboard motif. A voice recedes from the heart of the song into a dislocated, cracked drawl. And yet if Ignatz does occasionally recall the ghost of Jandek, there are moments of warmth and beauty, as sunlight glistens on the ice. Almost diaristic in tone, Devens’ personal experiences echo throughout the albums artwork and the title itself, as well as the music. “The artwork is a drawing of a dog, a boxer called Gibbe. It is a drawing by myself from 1994 made in Budapest, Hungary, just after Gibbe died at the age of 13 from meningitis. A family holiday went bad. Because we did not want to leave him in Hungary we decided to wrap him in plastic and tie him on the roof of the car and drive back to Belgium (which took us 2 days and the body started to smell). This was the last holiday I spent with my parents, and this moment defined the end of my childhood, more then any other”.